Minor injuries are a part of childhood, but no family is prepared to deal with the extreme difficulties of a serious child injury. The professional and empathetic attorneys of Yeboah Law Group, P.A. understand the impact these cases have on entire families. That’s why we diligently work to secure the best possible outcome in each and every case.  We strive to set ourselves apart from other Fort Lauderdale personal injury attorneys by providing a high level of representation that centers on the client. If your child was seriously injured by the actions of another, trust our law firm to seek compensation for your family. Motor vehicle accidents. On average, 1 in 4 children in this country die in an auto accident. If a negligent driver causes a crash that injures or kills your child, our compassionate team will fight for justice for you. Defective or dangerous products. Toys with small pieces are required to be labeled, and children’s clothing needs to be flame-retardant. If a defective or dangerous product – from car seats to choking hazards to washing machine detergent packs – harms your child, you may have grounds to seek compensation through a product liability claim. School accidents. Defective playground equipment, poor supervision on trips, bullying by others students: when school officials are negligent, and that negligence harms your child, we are there to help. Childcare negligence. Childcare professionals have a responsibility to provide children with adequate care. A negligent or abusive caretaker, day care or teacher can be held accountable for his or her actions against your child. Recreation accidents. Kids often get hurt playing, but some injuries have life-long repercussions. If your child was injured playing sports, on a trampoline, by an animal, or in any way that resulted from an act of negligence, you may have options. With more than 20 years of personal injury experience, our lawyers are particularly knowledgeable about the unique elements of a child injury claim. We use this knowledge to assist children and families across Miami-Dade and South Florida. Your child is precious. When seeking to protect his or her rights, you want an aggressive, but empathetic South Florida personal injury lawyer in your corner. With Yeboah Law Group, you receive representation from experienced attorneys who actually care about the well-being of your family. Insurance companies have teams of lawyers solely dedicated to furthering the company’s interests in any court case. Don’t face these challenges without your own team of powerful attorneys. We strive to provide South Florida communities with affordable representation. Towards that goal, we take personal injury cases on a contingency basis. There are no fees until your case is settled. You focus on healing your child; we’ll focus on seeking the compensation your family deserves. The challenges of a child injury can prove overwhelming for a family. Along with medical expenses, you also deal with the mental and emotional injuries that may accompany the incident. 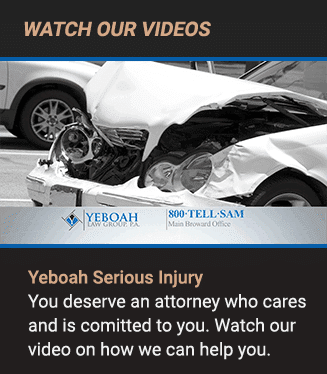 Contact Yeboah Law Group to set up a meeting to begin the process of seeking compensation for your child and your family. You can call us at 1-800-TELL-SAM or complete our contact form to schedule a free consultation.